I took a small break on the blogging front. Got busy with life in general. When I am not blogging here you can find my updates on Instagram. Do stay connected by following me on Insta. I regularly share fashion and decor inspiration out there. Creating new decor ideas inspires me. It’s my other passion after fashion. 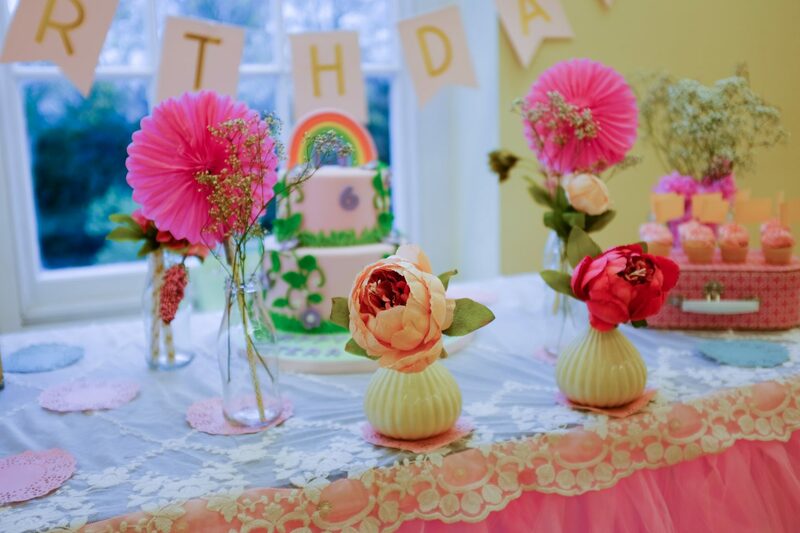 This blog post is about that – sharing some kids party decor ideas. 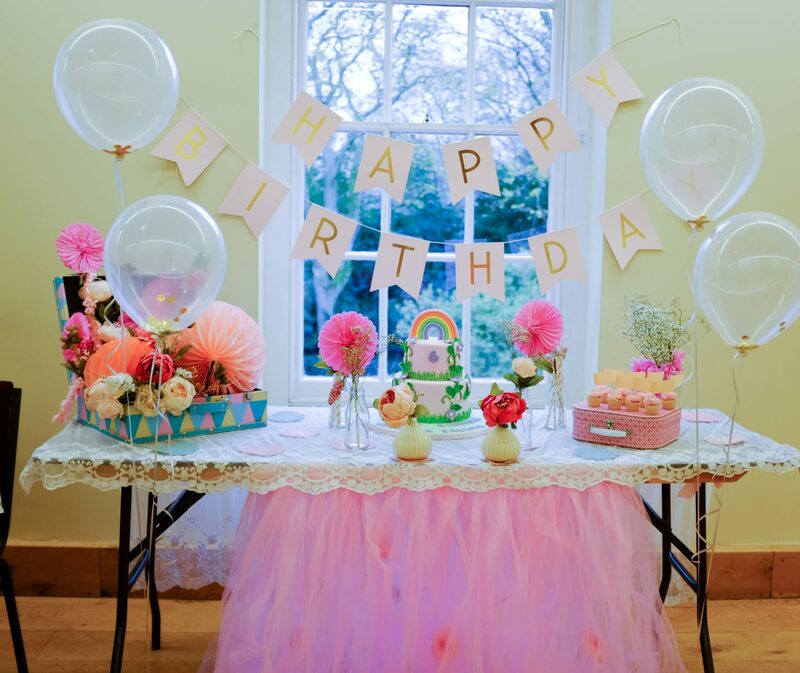 Today I am talking about my little girl’s birthday party decor set up. 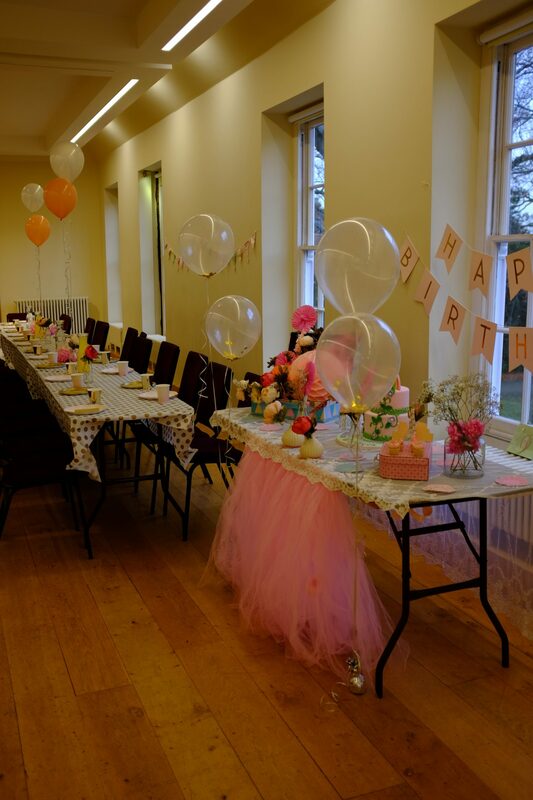 Now that we are back to school and getting into term time routine, I thought it would be nice to share some decor inspiration for your next kids party. 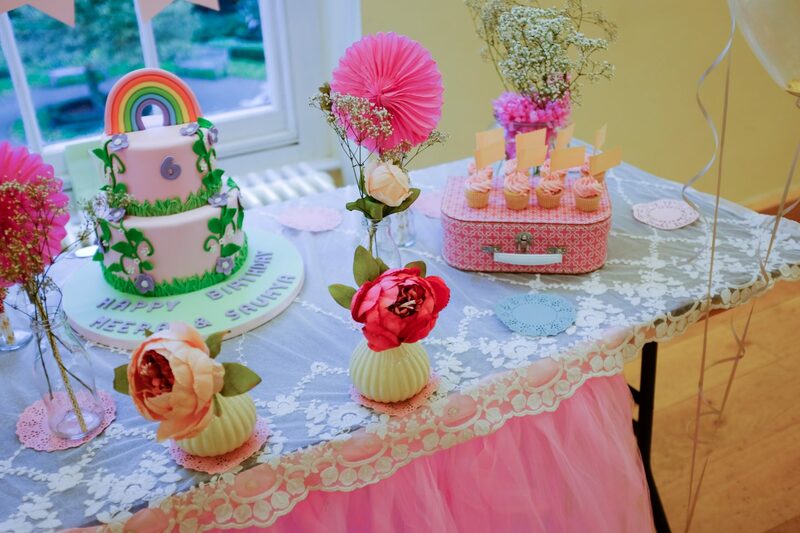 This is the main cake table set up I created for the party which was the focal point of the room. I did not create a theme but played around with a few things which look good together. 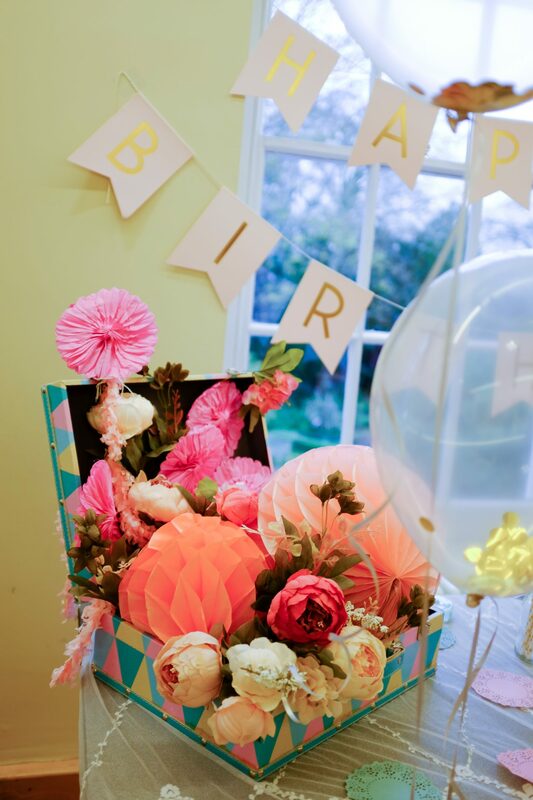 I am not a big fan of theme party decorations and rather prefer to put things together. The colours used are primarily pink, white and gold. I have decoded the set up below to help you create it. This again is very simple idea. All you need is paper pinwheels and paper straws. Stick the wheels on to the straws and put them inside the glass milk bottles. I have also added baby breath flowers to the bottle. You can use many glass bottles like this and use them across the food table or across the party room. 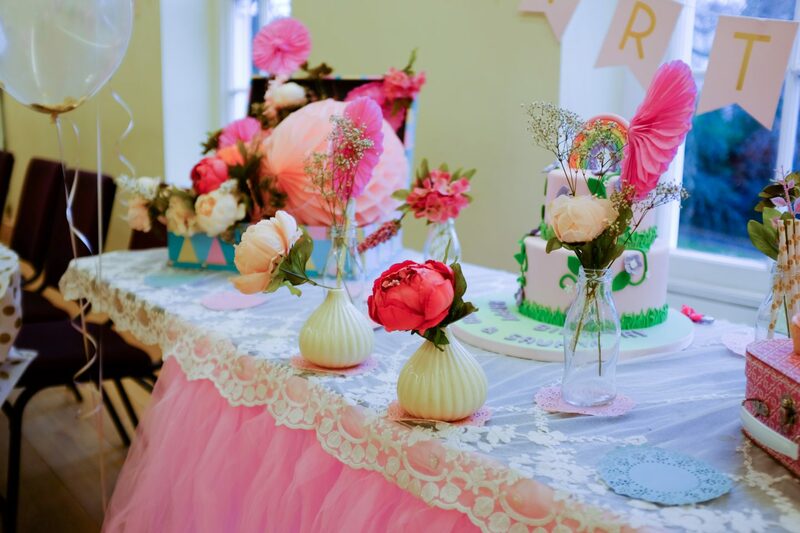 Use the cake as a decorative item on the table. 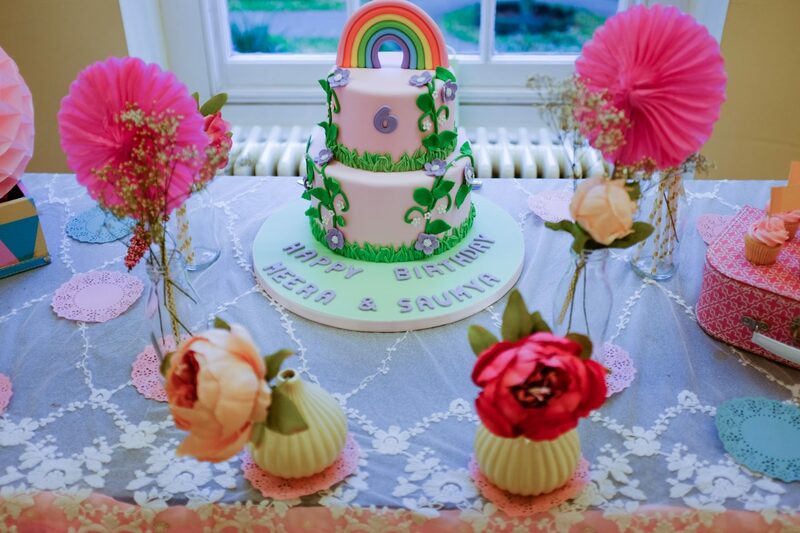 I also used cupcakes and placed them on a small kids storage box. 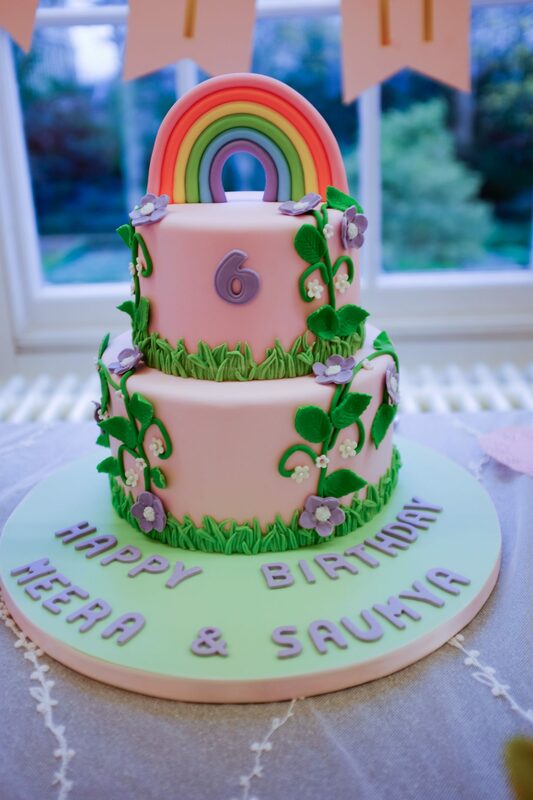 I ordered my cake from Royal Cakes by S– and I highly recommend her. It took me around 45 minutes to create this setup. 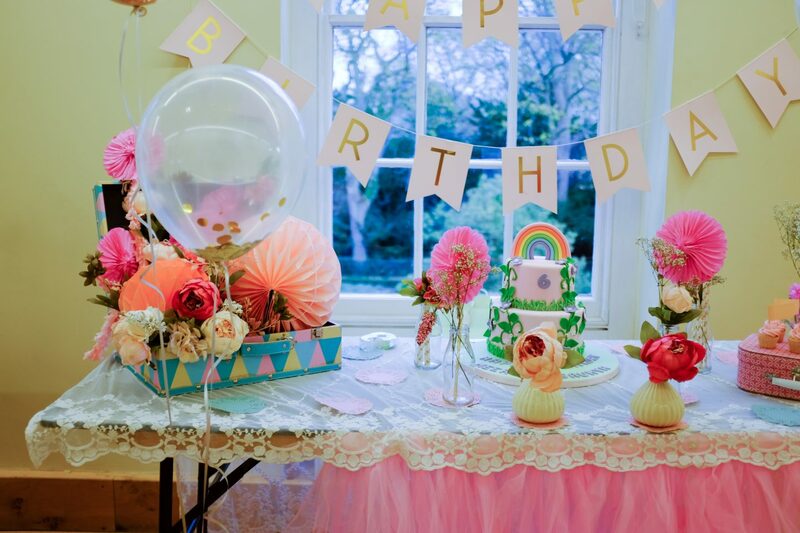 All you need is the supplies organised and then set up would be easy to create. 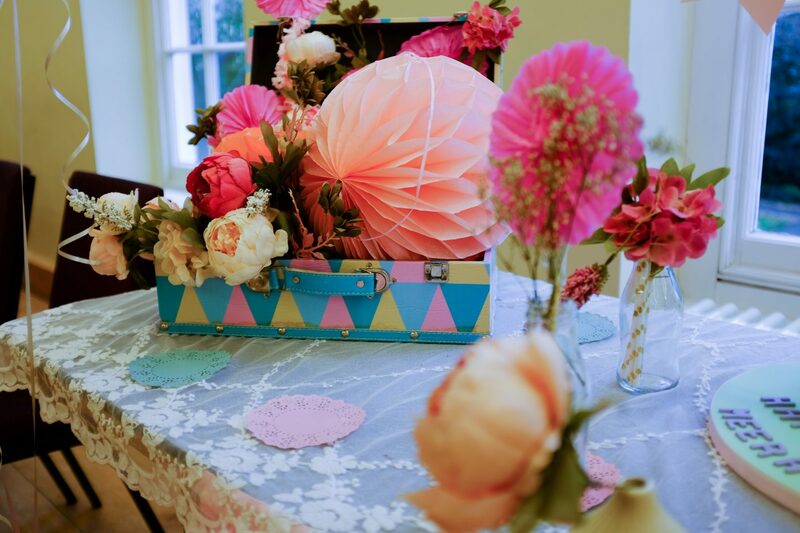 If you create something similar at your next party then do not forget to tag The Red Notebook.